HomeExclusive[EXCLUSIVE] Interview with Joo Sang Wook, Lead Actor of Korean TV Series "TEN"
Following the trend of the Korean pop culture, Korean dramas have always been a hot topic among the young ones as well as the older generations. This current craze is prevalent not only in Korea, but also throughout Asia and more recently, the European countries as well. Before K-pop became so widespread with its fresh and unique music, Korean dramas were the first that hit the world some years back. Today, when it comes to Korean dramas, there are just too many to list out and pick from. As far as I could remember, there are the family series, romance, comedy, historical, fantasy, mystery, action-packed series and many other genres. Like many of you out there, I am a Korean drama-addict. If I have to pick my favorites among all the different types of genres, it would be romance and action-packed dramas such as IRIS, and Athena: Goddess of War. On the other hand, there is this drama which caught my eyes earlier this year. It’s none other than Korea’s top-rated cable TV drama, TEN. Some of you might have already watched or heard about it, but let me bring you some insights into this drama. 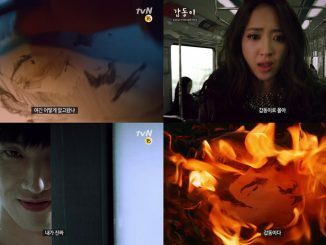 What sets it apart from other dramas is that, the 10-episode crime procedural series, TEN, is one of the first Korean cable TV series that ventures into bolder and edgier territory to engage viewers at an unprecedented level. 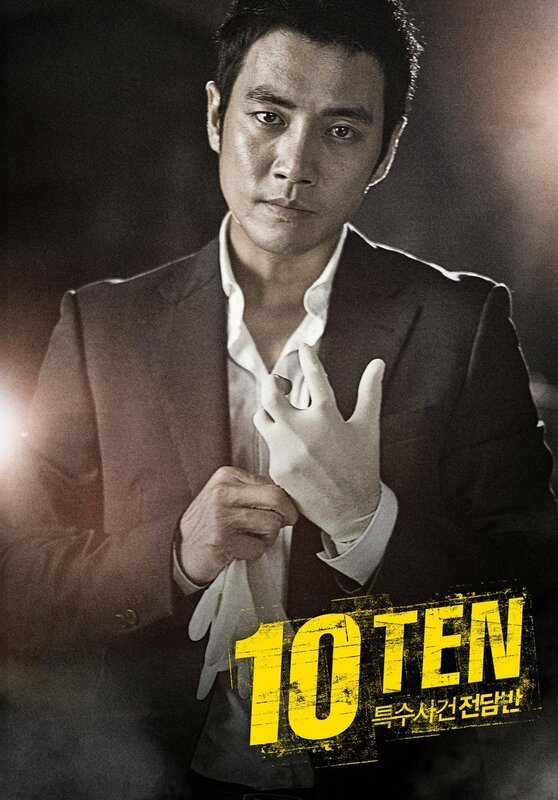 TEN is a drama about a special investigations unit formed to tackle the most violent and mysterious cases that have less than a 10% chance of being solved. The production of TEN took 3 years and 8 months to complete, with each episode incurring a hefty USD $140,000 production budget. TEN was awarded with “Best Contents Award” at the 그리메 (Guerime) Awards 2011 and Grand Prize at 2012 Cable TV Program Awards. 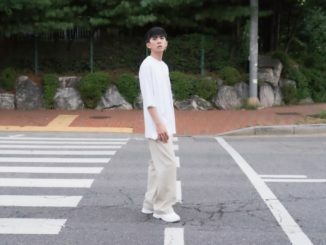 TEN took over the number one spot in ratings among cable channels during its broadcast, occupying the top spot continuously for 9 weeks, with the last episode obtaining a 3.16% average rating nationwide (one of the highest rated cable dramas in Korea this year – Source: AGB Nielsen Media Research, Total Cable Households). Starring Joo Sang Wook and Jo An, this suspense drama is one that you should include in your ‘to-watch-list-of-dramas’. Having said that, we are extremely honored to have our very first email interview with the lead actor of TEN, Joo Sang Wook. Steadily climbing his way up the Hallyu wave is Joo, a familiar face to whom many will recognize on screen. A brief background of his past achievements – Joo Sang Wook had starred in many popular dramas such as Air City (2007), Queen Seon Deok (2009), Giant (2010), Paradise Ranch (2011), Thorn Birds (2011), Feast of the Gods (2012), just to name a few. 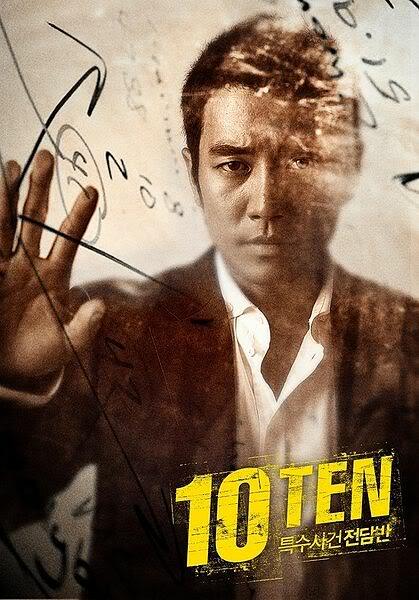 And of course the more recent TV series, TEN (2012). Earlier this year, he also participated in 2 episodes (Ep 76 & 77) of hit variety show Running Man in January, showcasing a fresh side of him. Read on to find out more! Q: You’ve acted as a police officer in the 2007 drama Air City. 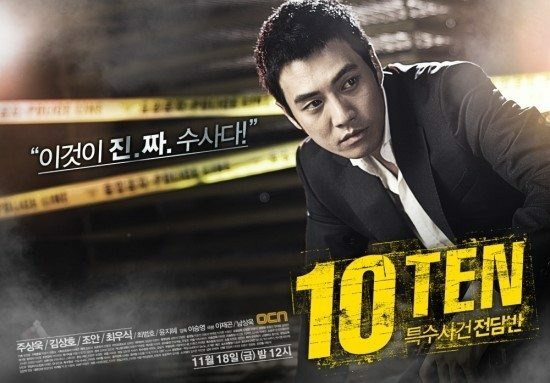 How do you feel about having to play the role of an investigator in TEN? Joo Sang Wook: I played the role of Yeo Ji Hoon, an investigator in a special affair team. He is very well-informed and has a strong character. Initially, I expected fighting scenes in this series… But actor Kim Sung Ho did all the fighting scenes. Yeo Ji Hoon is the mind in this show. He uses his brain to solve cases and doesn’t need to fight to solve a problem. In the show, he is an investigator and professor in psychology who uses deduction methods to help him in solving almost perfect crimes. You have to watch it and you will know what I mean. The series is engaging. Q: After accepting on the role, have you done any preparation to better equip yourself for the character prior to filming? Joo Sang Wook: I talked a lot with our producer about Yeo Ji Hoon’s image and personality. I also searched and studied many movies and TV series for that. There was an old Japanese TV series which was aired about ten years ago, where Kimura Takuya was cast in that series. It is called “One Million Stars Falling from the Sky”, a very successful TV series in Japan. I feel that Kimura Takuya who starred in the TV series is somewhat similar to Yeo Ji Hoon in TEN. I have watched many TV series to learn and perform better in my role. I don’t know if I performed well in my role, but I think that I have expressed my intentions well. Q: Could you share with us any unforgettable moments during the filming process of TEN? Joo Sang Wook: Every shooting was very hard for me. Filming schedule was very tight so I couldn’t sleep well. When we filmed the last episode of the first series, I had to shoot both the present and flashback scenes. I was exhausted from filming all night. Q: Is there any deciding factor that influences you to take up on this drama? Joo Sang Wook: I really like the synopsis and Yeo Ji Hoon’s character in “Special Affair Team Ten” when I saw the scripts of the first and second episodes. They looked like a movie rather than a TV series. I really like it so I wanted to accept that challenge. Q: Any role you would like to challenge yourself if given the opportunity? Joo Sang Wook: I have played serious characters, so if given the chance, I want to play a hilarious character, or a more serious-minded role. I want to be cast as a funny character too. There are so many roles that I want to play. Q: Lastly, what can we look forward to seeing from you in the next half of 2012? Joo Sang Wook: I ended the filming of TEN awhile ago so I am taking a rest now. In the meantime, I’ve read several scripts for a movie and I think I will be cast in a Korean movie. I will also be going to China for the filming of a Chinese TV series later this year for three months. That pretty sums up all I have now. 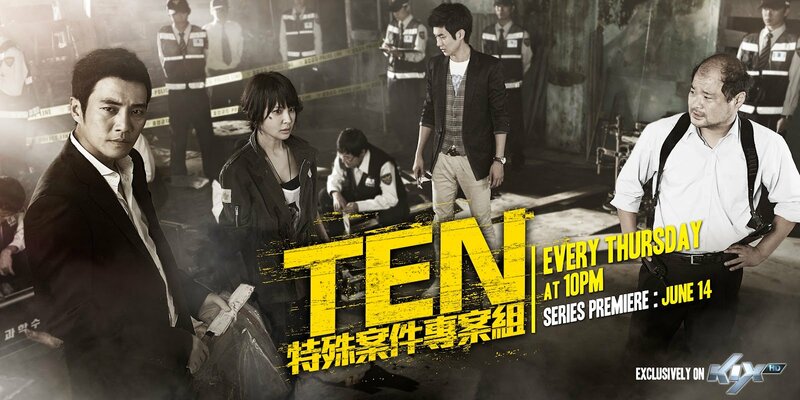 Catch the 10-episode crime procedural series, TEN, on KIX (Starhub Channel 518) and KIX HD (Singtel Mio TV Channel 54) every Thursday at 10pm! Brought to you by world-class action channels KIX and KIX HD, TEN has just began its premiere on 14th June, first and exclusively on these 2 channels. KIX features “all action” entertainment from across Asia and around the world, bringing adrenaline-pumping programmes to those who crave action and adventure. Living by the slogan of “Action By Day, Thrill By Night”, KIX HD offers the best of action with a late night dose of thrills in high definition.